Baby Lady says “Last night’s dinner was 5 stars. 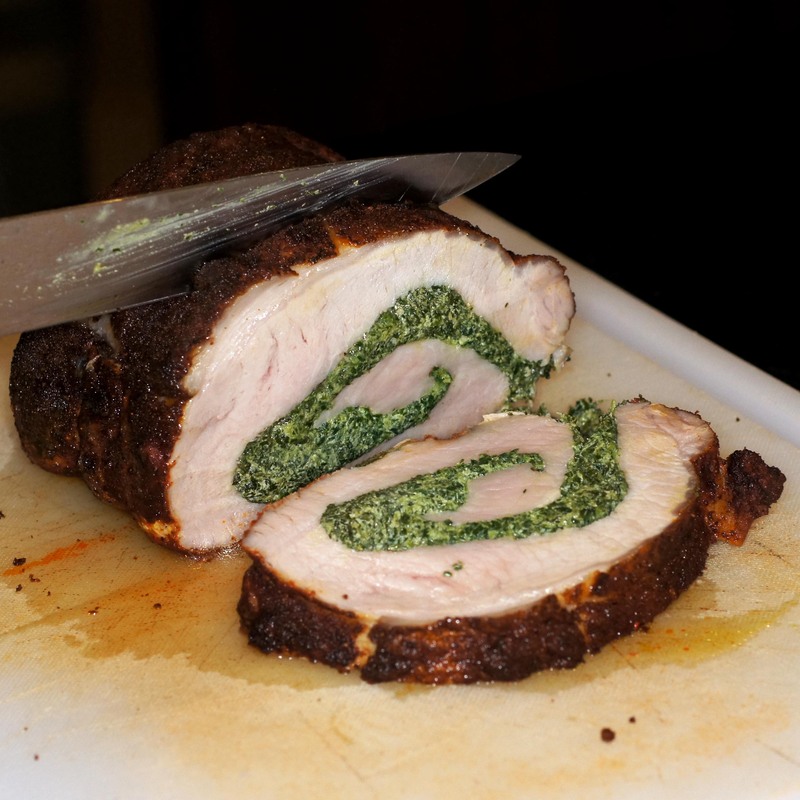 You’re not chopped and can move on to the next round.” She liked the flavor of the berbere seasoned crust of the pork loin with the creamy, full flavored spinach filling. It was a delicious meal and pretty, too. After scouring the internet and reading various and sundry magazines, books and articles I discovered that Berbere, whose name means HOT!!!!!! in Amharic, is a chile-spice blend that’s essential to many Ethiopian dishes. 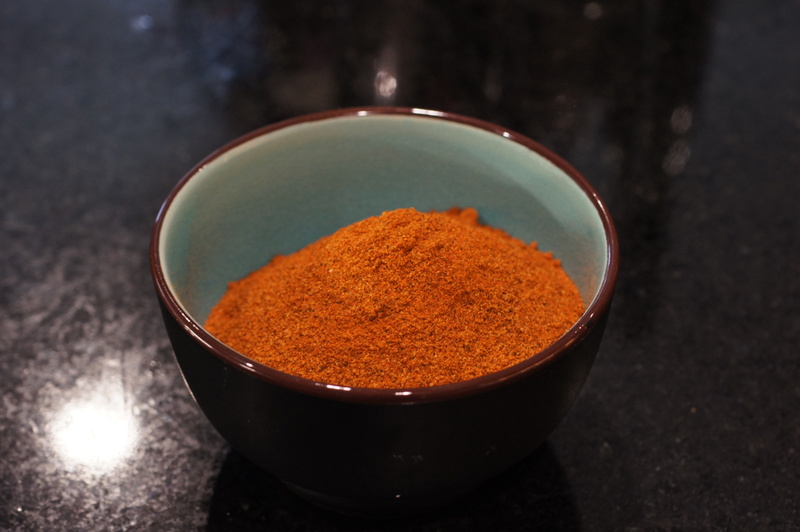 Like the Moroccan spice blend ras al hanout, berbere is unique to each household. It is made from a pantry full of herbs and spices, toasted, freshly ground, and stored in jars. Despite the wide variations of spices and amounts basic berbere is made by combining roughly equal amounts of allspice, cardamom, cloves, fenugreek, ginger, black pepper, and salt with a much larger amount of hot red (cayenne) pepper. It can be fiery hot or milder depending upon your tastes. Milder berbere can be made by using paprika for some or most of the red pepper but it is the combination of fenugreek and red pepper that is essential to berbere. Also, berbere is not always made as a dry spice mix. Instead, some make it into a paste through the addition of oil, water or even red wine. The red wine, however, is not an authentic Ethiopian ingredient but a Western world variation that intrigues me. Like many dry seasonings, berbere benefits from heat and fat, both of which intensify its flavors and put it on full display. 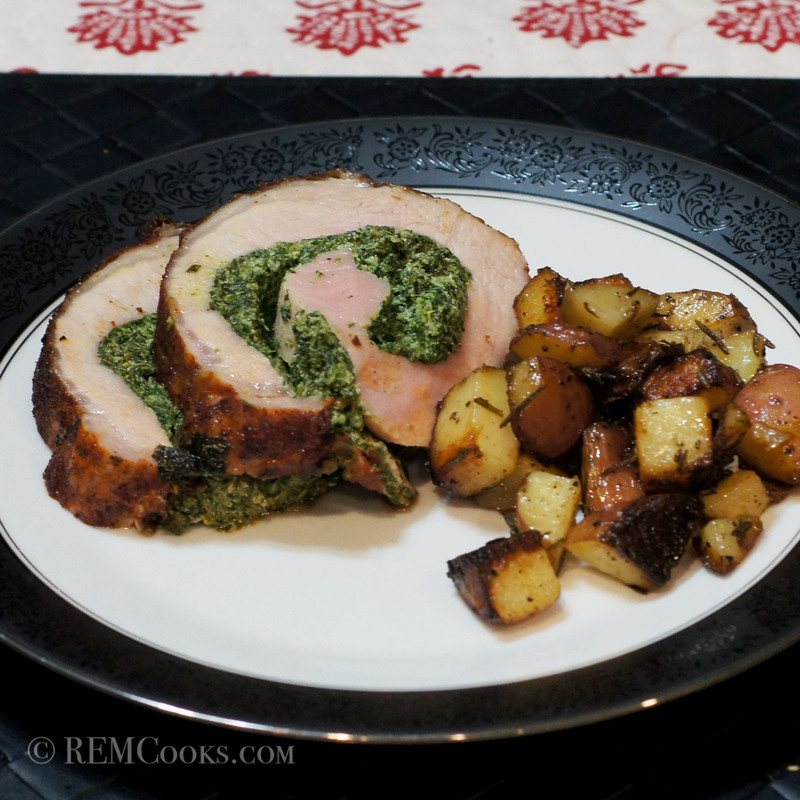 Now last night’s meal came about because we had a beautiful pork loin in the freezer we needed to use. Quickstep was coming over for dinner so I could prepare a roast and not worry about leftovers. I knew I wanted to use the berbere seasoning but I wasn’t sure how. Then it dawned on me. This beautiful chile-spice blend would be a perfect accompaniment to a goat cheese, spinach filling. You would have the bold flavor of the chiles and spices that would blend well with the spinach and pork while the heat from the chiles would be cooled by the creaminess of the goat cheese. This combination was perfect for the pork loin we fixed for dinner and went unbelievably well with the rosemary potatoes as the side (a subsequent veggie post). So, if you have never tried berbere seasoning, you should, especially if you like Middle Eastern and Indian food. Berbere can be used to season everything from vegetables to meats (poultry, lamb, beef & pork) and stews. Let your imagination guide you. This is where our imagination took us for dinner last night and allowed me to move on to the dessert round (post to follow). First, make the filling. 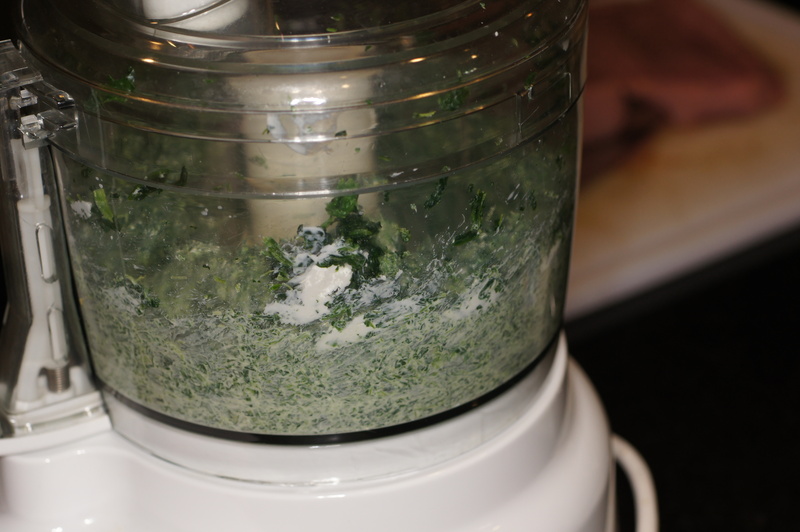 Place the spinach into the food processor and add the goat cheese. 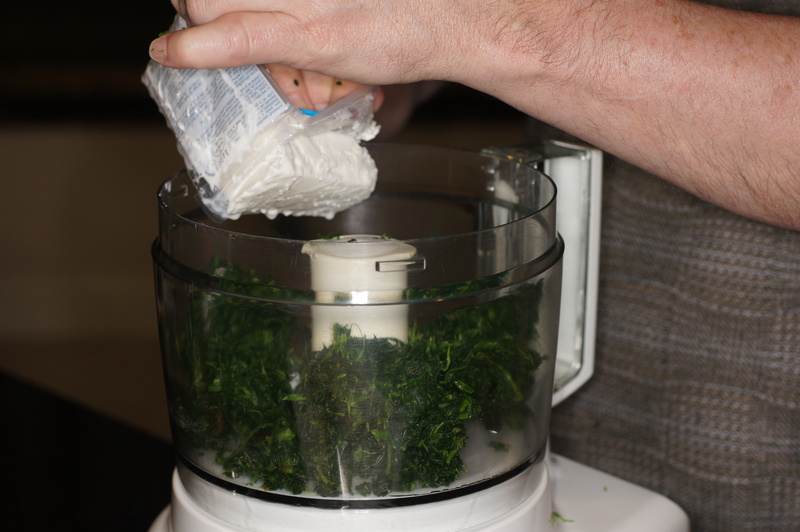 Process into a smooth, creamy mixture. Take the pork loin. Do NOT trim it as you want what little fat is on the top layer. 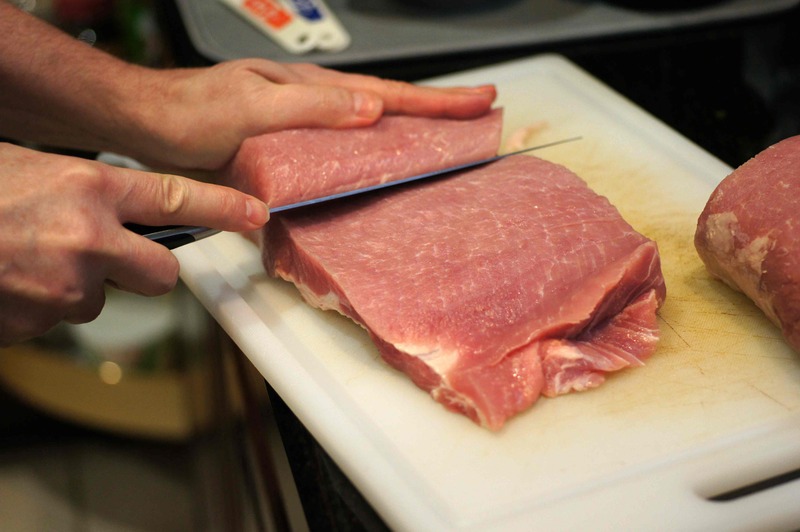 Using a very sharp knife, slice the pork loin, rolling it as you go. 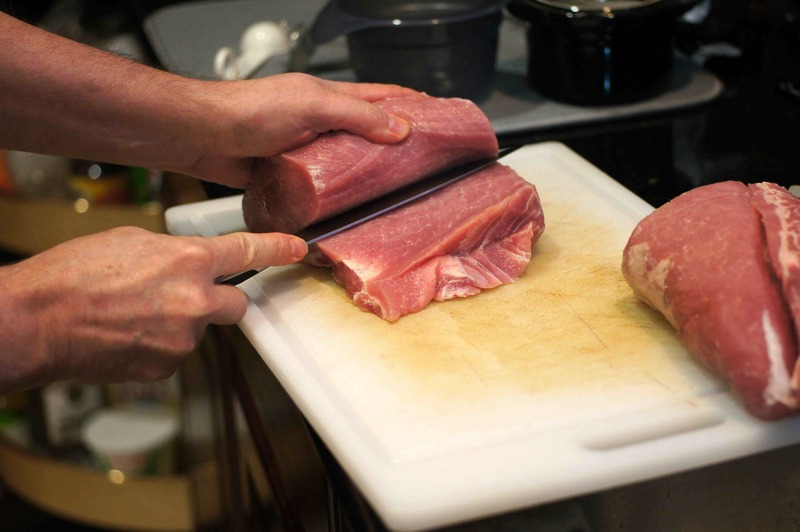 You want the pork loin to roll out flat, roughly 1/2 inch thick. Alternatively, you can have your butcher do this for you. I just like to play with my food. Now, once the pork loin is laid out flat, season with salt and pepper. 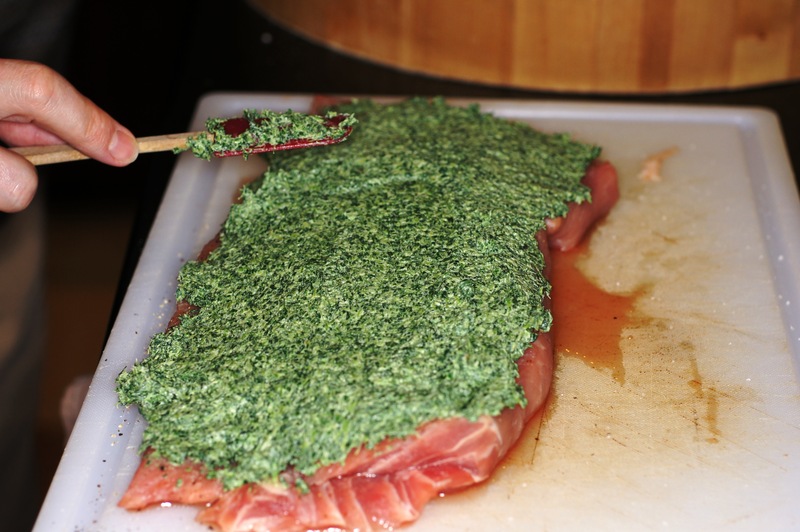 Take the filling and spread on the pork loin. 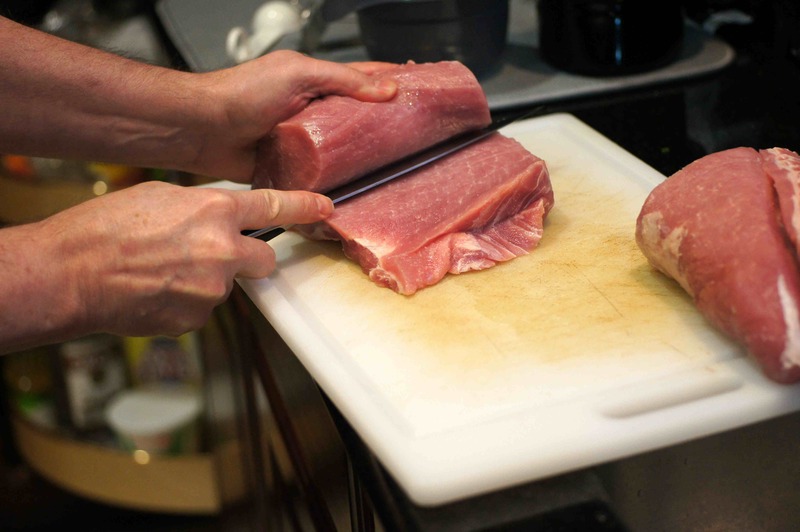 Beginning at one end, gently roll the pork loin. 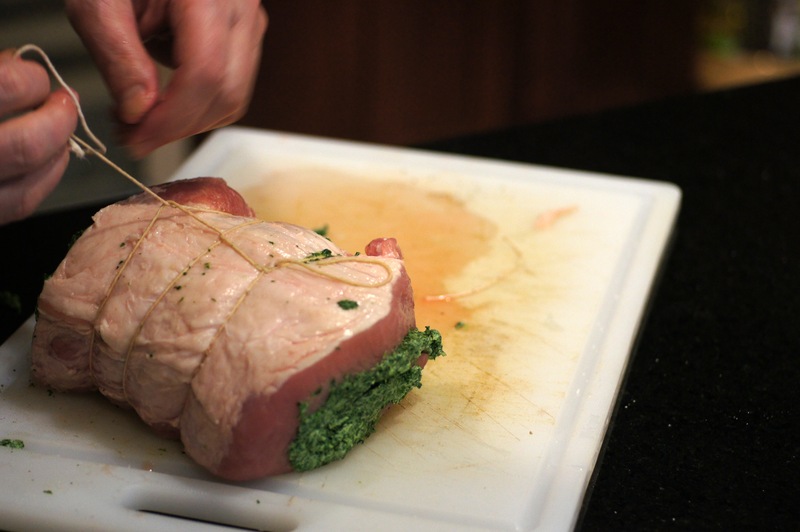 Now, tie the pork loin being careful not to squeeze the filling out of the roll. Liberally season with berbere and place on a rack in a roasting pan. 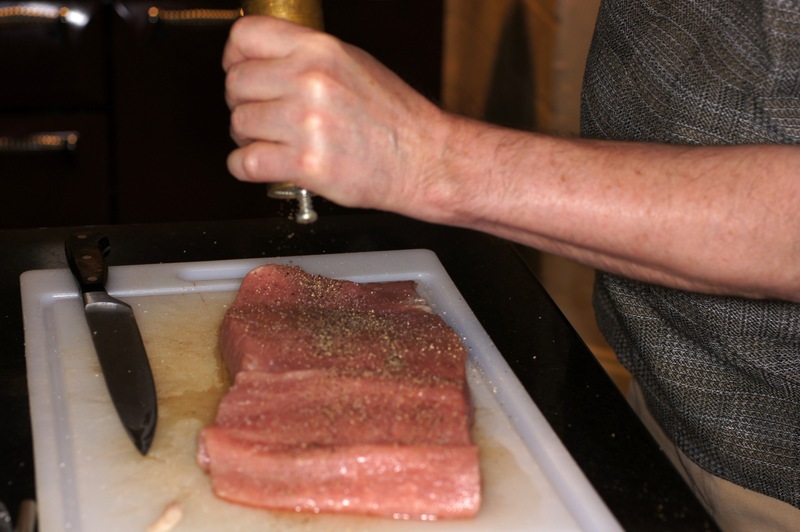 Place in a preheated 350 F oven and cook for 50 – 60 for medium to medium well doneness. 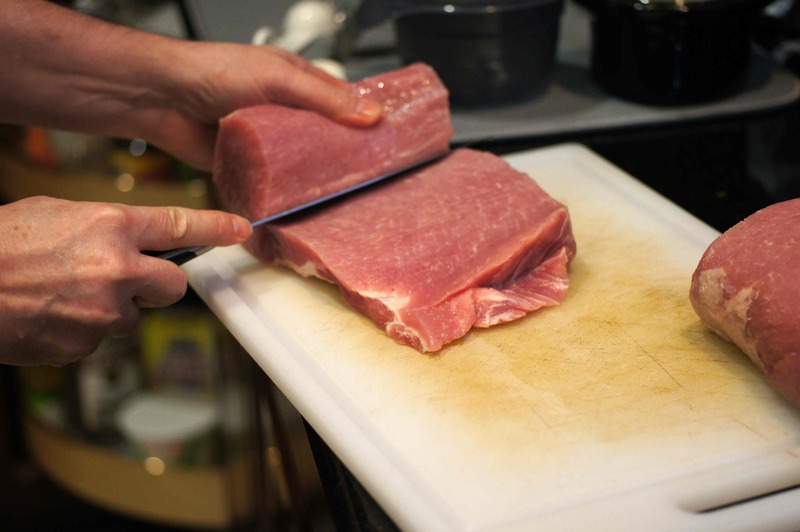 If you like your pork rarer, adjust cooking time accordingly. Remove from oven and let rest for 5 minutes. Once it has rested, slice into 1/2 inch thick slices. Serve with rosemary potatoes and enjoy. 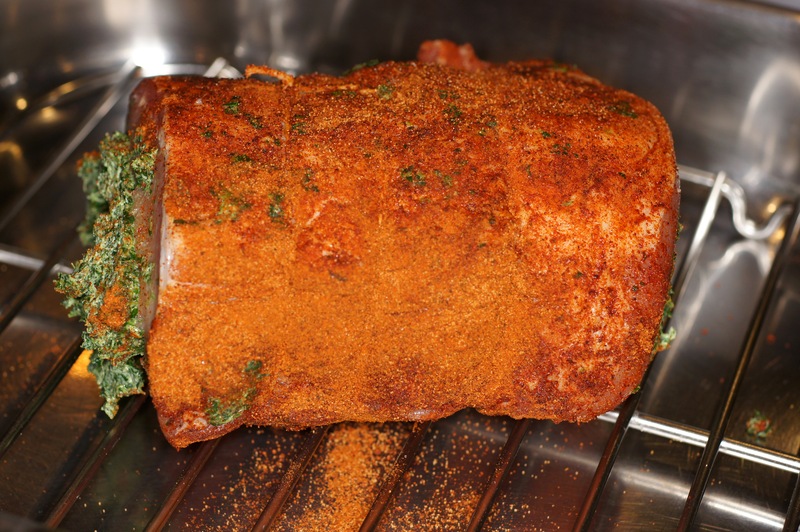 We use berbere on pork (as in this recipe and Prosciutto Wrapped, Berbere Seasoned, Roasted Pork Loin with Root Vegetables), turkey and chicken. In fact, I roast a 6 lb turkey breast (without skin) lightly oil and heavily seasoned with berbere every 60 days or so for luncheon meat for Quickstep. It makes some of the best turkey sandwiches you can imagine. I also would imagine berbere would be killer on lamb or goat. Beautiful pork! You’re gonna love my post tomorrow! That coating mix on the outside sounds MARVELOUS, Richard. The fenugreek sounds interesting. Iranians use that spice a lot. Such a subtle flavor, that one. I have the dried leaves and whole seeds I’ll need to grind up. I look forward to trying this out on my next pork roast! 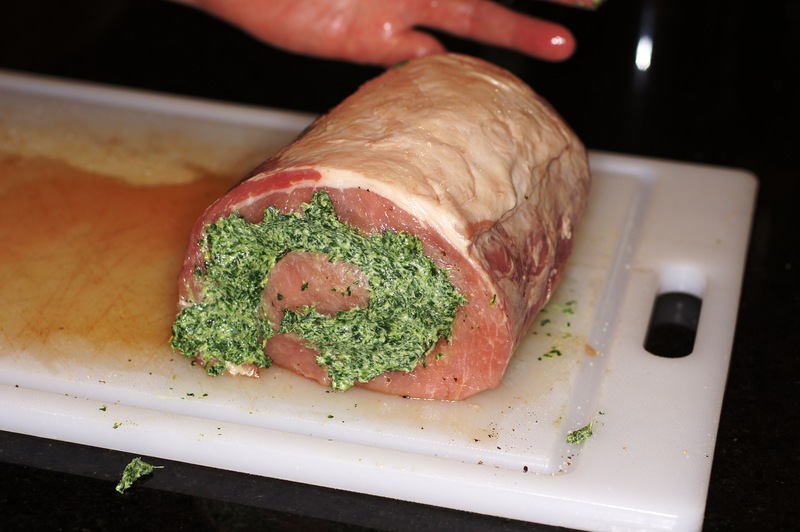 Serving a sliced roulade is sure to bring plenty of oohs and aahs from your dinner mates/guests. Your roast, Roger, would certainly do that and, with that spice & herb misture, it was not just delicious but I bet it had a wonderful aroma. too. Thanks for sharing a great recipe and post. Thanks, John, for the nice compliment. You are 100% correct about the aroma. We were really hungry by the time it was done, very much looking forward to eating it due to the aromatics wafting throughout the house. Thanks, Andreea. 🙂 Next time I want to make a paste but using red wine as opposed to oil or water. I think a red wine berbere paste would be over the top. Fantastic! I’ve got some new Ethiopian recipes I want to try from an Ethiopian blogger I’ve been chatting to – alas, she hadn’t yet provided me with the recipe for Berebere! You have beaten her to the punch. YUM!!! 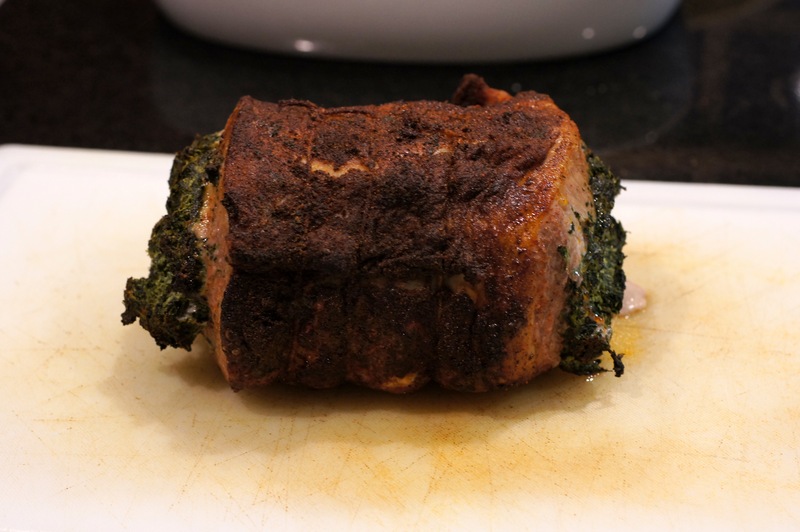 Your pork with the spinach and cheese stuffing looks and sounds wonderful. I seem to have almost missed this one, which would have been a shame because it looks wonderful. I also saw a post from Mimi about the same spice mix. It’s fun to see how we come up with similar things at the same time, especially it that happens independently. I remember thinking that you and the Baby Lady would like this spice mix when I read about it on Mimi’s blog. You make it look easy, but making a roulade with a soft filling like this without squeezing out the filling is actually quite hard! You tie it up neatly like my butcher does, rather than my messy way of tying a roulade 😉 All in all a great display of technique. Great post, Richard!